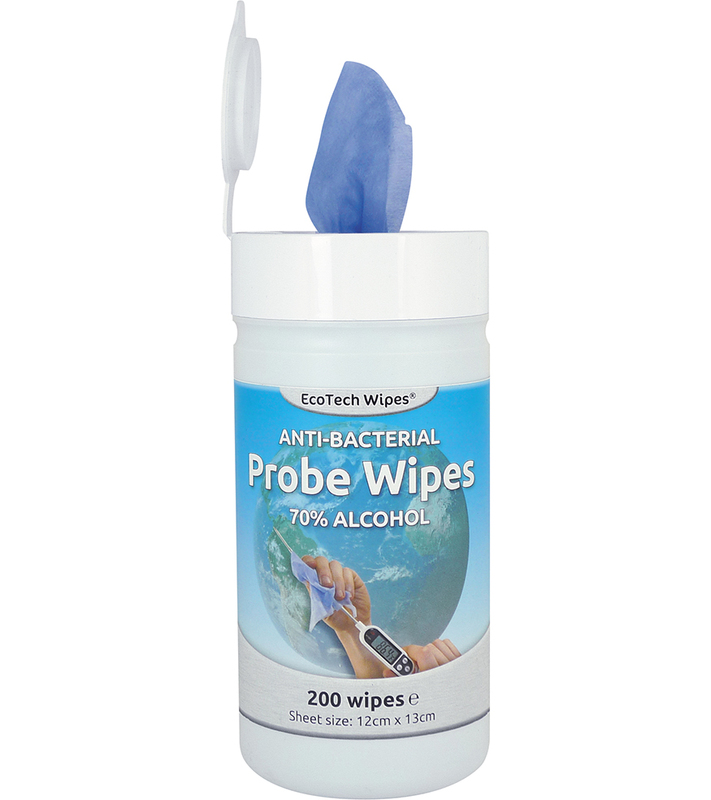 Probe Wipes Effective wipes for disinfecting probes between use. Kills 99.9% of all bacteria within 30 seconds, including E-coli, Listeria, Salmonella & P.Aeruginosa. Indirect food contact safe. Tested to BS EN1276.